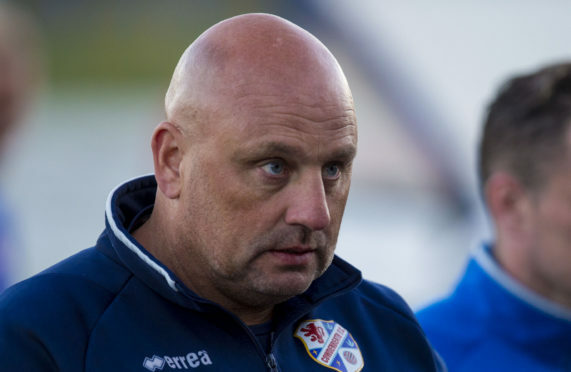 Cowdenbeath head to Clyde with manager Gary Bollan pushing all thoughts of Wednesday night’s rearranged Scottish Cup tie with Rangers out of Blue Brazil minds as they have other targets to hit. Last Friday’s scheduled live TV meeting with Steven Gerrard’s side was frozen off and attention will turn to it again after this afternoon’s encounter. Bollan said: “There was a sense of disappointment as there had been a big build-up but we have moved on from that. “Thankfully, we are in the position where our recent run in the league has us hungry to be playing games so the kick-off at Broadwood cannot come quickly enough. “There have been three very tight games with Clyde so far this season. “They won the first one in the league, we knocked them out of the Scottish Cup and the game between us last month was a really competitive 1-1 draw. “I expect this game to be competitive again. “Clyde have tucked themselves in nicely behind the top two in the table and they could yet emerge as the top side in the league. “David Goodwillie will be missing for them as he has suffered a fractured bone in his arm, and whilst he is the best striker at this level, they have other players who will be desperate to show what they can do. The Central Park side’s two wins in 2019 have seen thoughts of a promotion push emerging but Bollan is keeping everyone grounded. He explained: “We put on a really good display at Elgin a fortnight ago to win 4-1 and that success put us in the top half of the table. “We want to stay there now and the best way to do that is to win games. Bollan has a fully-fit and suspension-free squad from which to choose.